The ICT Federation of Cambodia (ICTF) held their first ever International IT, Electronics and Telecom Expo over the weekend of 14 to 16 November 2014. The event was supported by the Ministry of Posts and Telecommunications (MPTC). A spectacular display of technology drew a huge crowd, and the conferences on the first day were incredibly insightful into the ICT sector of Cambodia. 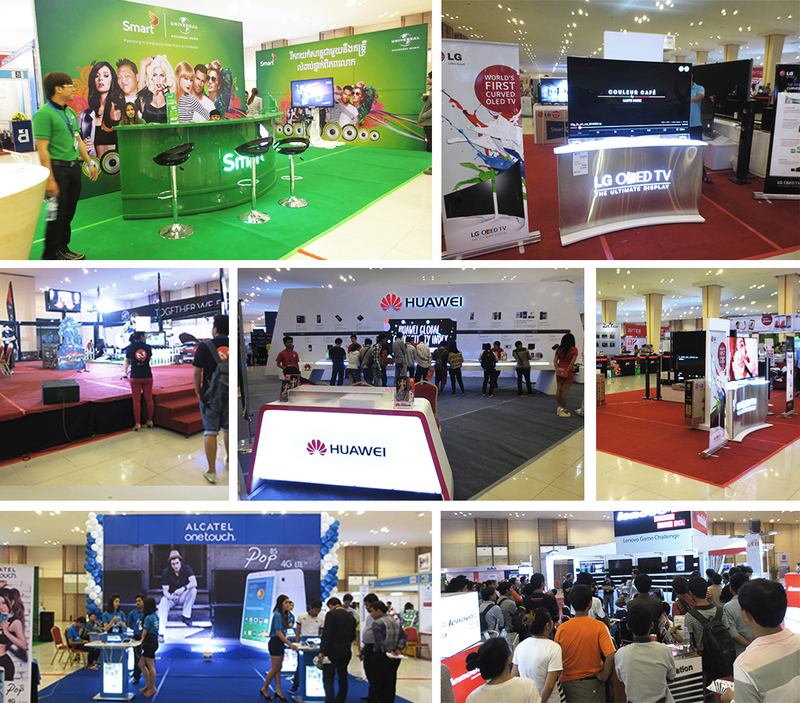 Brands such as SMART, LG, Huawei, Alcatel, Lenovo and SONY all showcased their products, resulting in a vibrant atmosphere throughout the whole Koh Pich exhibition hall. Drones were being showcased, so were instax cameras and gopros. On the first day, several sessions were held, with industry experts from Cambodia, China, Korea and Singapore sharing their thoughts on different issues regarding ICT. H.E. Tol Gnak giving the opening keynote. The first keynote was by H.E. Tol Gnak, Director-General of Posts and Telecommunications and TELSOM for Cambodia. He shared about the changing trends of ICT, where we have become a barrier-free society, are developing easy-to-use ICT and spoke about the development of new ICT. 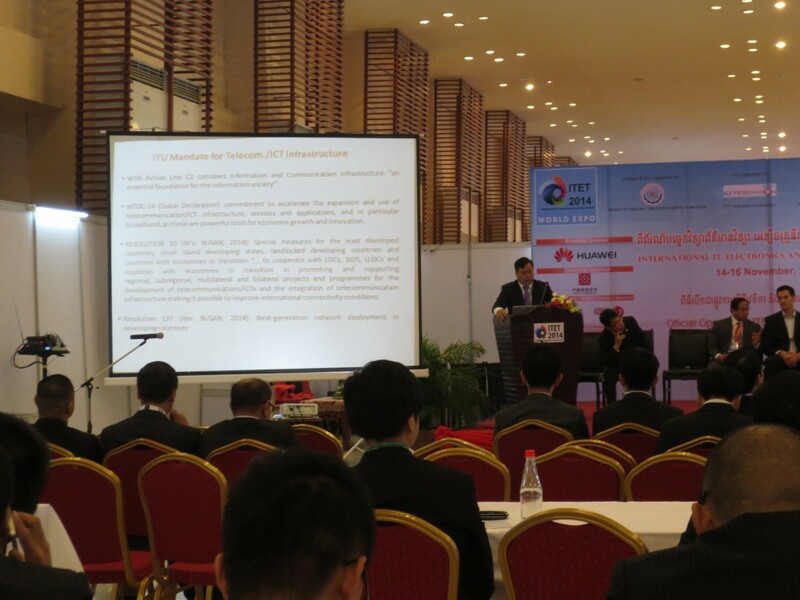 The first panel discussion held was regarding the infrastructure of ICT in Cambodia. Mr. Michael Macdonald, Group CTO and Executive Business Consultant, Huawei Technologies, shared Huawei’s vision of “Building A Better Connected World”. He noted that Huawei is focusing more on the end-user and making sure that they are productive and efficient with the use of ICT. Advocating personalisation, mobile intelligence and the cloud are some of the items he mentioned in moving forward with this vision. He also said that enterprises can leverage on ICT-enabled services to rebuild the industry game. Several other panel discussions were held by Mr. Phillip Wong, CEO of Edotco (Cambodia), Mr. Steven Cao, CEO of CFOCN, Mr. Nam Ngyuen, ICT Solutions Director, Mekong Net, Mr. Guan Hong Chao, Deputy Managing Director of Global Business Department, China ComService. 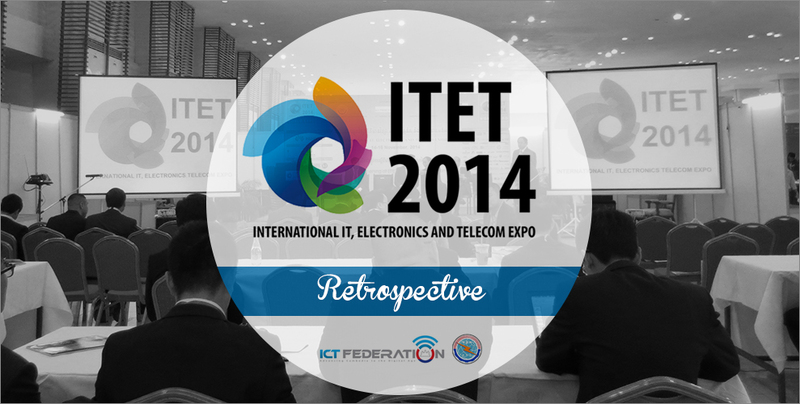 ITET 2014 was surely a groundbreaking event, which hopefully will continue for years to come! For more about ITET 2014, stay tuned.